Traditionally, the e-commerce spending trends have baffled both marketers and e-commerce portal owners. Among the different audience demographics, the millennials (age group of 20-37) demand the most attention and boast of the largest share of disposable income. They are best placed to explore the digital world of e-commerce and buy online. Here is a quick online shopping survey about what draws millennial shoppers. Our survey correspondents exclusively consisted of millennials between the age group of 23-40 years. This survey could give you some solid insights on what drives millennial spending trends when it comes to e-commerce business. The ability of an E-commerce business to get recommended is simply measured by its NPS (Net promoter score). If an e-commerce business has high NPS, it’ll drive the existing customers to share and recommend the products through social media and other platforms. 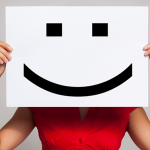 In the survey, we’ve tried to understand what improves NPS metric among the existing customers. So, let’s examine what’s required to achieve high NPS score with the millennials. 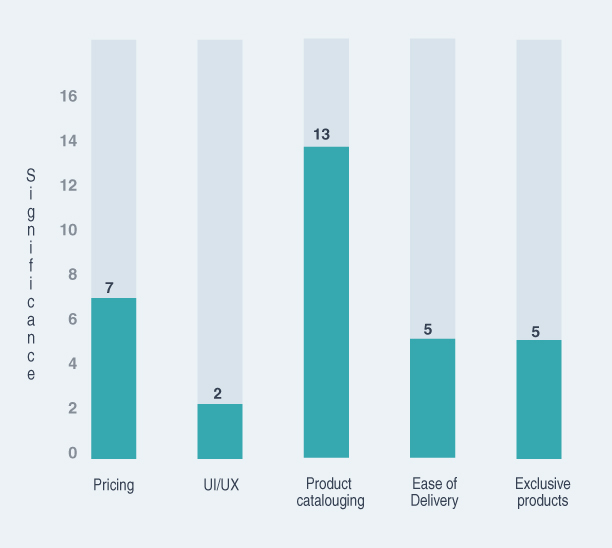 The survey shows that you need to have an in-depth product catalogue coupled with intuitive navigation and easy delivery experience. On an average, it’s said that only 20% of new customers go onto make their second purchase and beyond. This means that e-commerce stores should at least prompt their existing customers to make their second purchase. Let’s say a descent incentive could do the trick in this case. Here are the results of this question. From the survey, 36.4% of the correspondents answered that they buy from the website that offers regular discounts. Regular discounts could work as a great incentive to gain a high percentage of repeat visitors, who in-turn get converted into repeat customers. Similarly, it also seems that the millennials keep a shortlist of go-to e-commerce brands. This means that your e-commerce store should carry some brand equity when it comes to popular categories like clothing or health. Also, the millennials seem to look for exclusive products that add value to their personality. Meanwhile, earlier than expected delivery dates could possibly give the satisfaction of getting their hands on the product before others do. 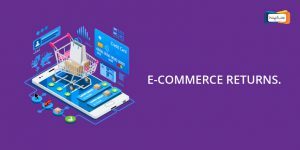 HOW TO IMPROVE YOUR E-COMMERCE BRAND VALUE? Most e-commerce stores keep a hefty chunk of their budget for building brand equity and other advertising expenses. For example, you can easily find e-commerce businesses sponsoring a prominent landscape banner or appearing in prime TV spots. But usually, the customer’s attention is already inundated with marketing messages. This prevents this strategy from making a mammoth impact on the spending trends followed by the millennials. Instead of using advertising to force their way into customer’s mind, the e-commerce stores can improve their customer-facing front to create special e-commerce experiences. Here are the most effective factors deciding brand equity – pricing, website usability, and Product catalog, ease of delivery and availability of exclusive products. As per this online shopping survey, most people will consider an e-commerce store to be special if it offers a large catalogue of product options. You can also try and spike the interest in your e-commerce store through competitive pricing. Although the UI/UX features scored fewer remarks, people may have forgotten to mention them in the open survey. Also, the millennials stressed upon the significance of being able to easily order and get their products delivered at their doorstep. WHAT IRKS THE CUSTOMERS DURING SERVICE INTERACTIONS? At some point in time, almost every customer may need to interact with the customer service. 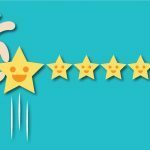 At this point, a ‘bad-customer-experience’ could be a deal-breaker for most businesses. 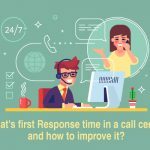 In order to understand this, we conducted a research on what goes into ‘making-or-breaking’ a customer’s call center experience. For this, we needed to first know what irked or created a bad call center interaction for a customer. A majority of customers voted against an irresponsible customer service. 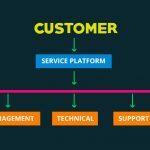 If your service team isn’t equipped to manage the service issues, it is most likely cause irrecoverable damage to your brand equity. At the same time, the millennials are also particular about receiving the right answers for their particular questions. Among the survey audience, a 27.3% of the customers were of the opinion that cut-and-dried responses don’t resolve anything but simply drag-on the issue. 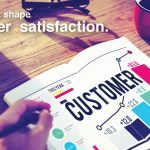 The customer service quality can be significantly improved by implementing the right service management tools such as a helpdesk software coupled with a field management system. 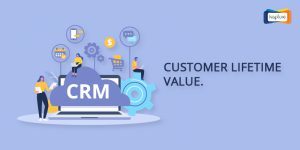 A helpdesk software can efficiently manage your customer requests, whereas field management involves assigning and resolving the individual issues. 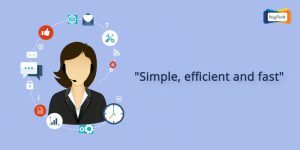 Kapture CRM enables you to combine your operational tasks at both the ‘call center and field delivery’ ends into a streamlined set of activities. This allows you to efficiently receive and resolve the customer queries through a single platform. 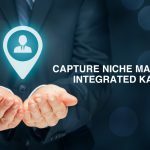 Kapture’s helpdesk software brings these unique benefits to the table. 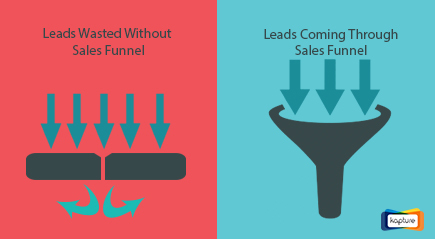 * Start offering support via all inbound channels through omni-channel Integration. * The unified cloud-based Kapture CRM combines all customer queries in a single cloud-based system. * Whether a new call, email or any other channel, the agent can automatically access the details of previous interactions and add them to the existing records within Kapture CRM. * Now you can significantly improve the number of issues resolved and the time taken to resolve each issue. In short, it allows you to manage your field activities in a more proficient and systematic manner. WHAT ENTAILS A SEAMLESS PRODUCT DELIVERY? When it comes to product delivery, millennials like to take a completely hands-off approach. 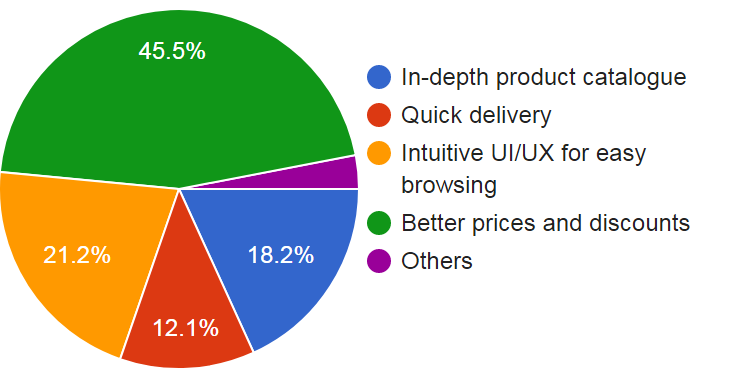 As per the survey, here are the various factors that play into how your product delivery gets evaluated by the customer. As per the survey result, millennials are most displeased when their delivery gets overdue. They also get irked with the service reps who constantly ask for the directions. Ideally, the delivery personnel should be able to recall and fulfill the specific delivery requests (such as delivery timings) made during the ordering process. Simply stated, the millennials want their products to be delivered at the earliest without having to hand hold or giving step-by-step explanation of the route to the on-field agent. If you combine the different aspects, the delivery team should be able to streamline and organize their delivery process through a single cloud-based platform. In addition, the customers also expect high quality delivery services within the tier 3 & 4 cities, where the delivery address could be remote or hard to locate for someone unfamiliar with the terrain. 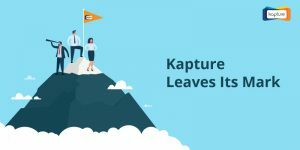 Kapture’s mobile CRM platform helps you solve this dilemma with the ability to manage your entire field team operations through a single platform. The mobility-first system can enable teams to reduce product delivery time and optimize transit routes. The mobility-first platform lets you consolidate the field delivery route for each day. It also lets you store and access any order-related information on a single platform. Ok, let’s wrap up and see what we understood from this survey. As per the survey results, the millennials are far from the happy spenders who go after the latest trend or fad. 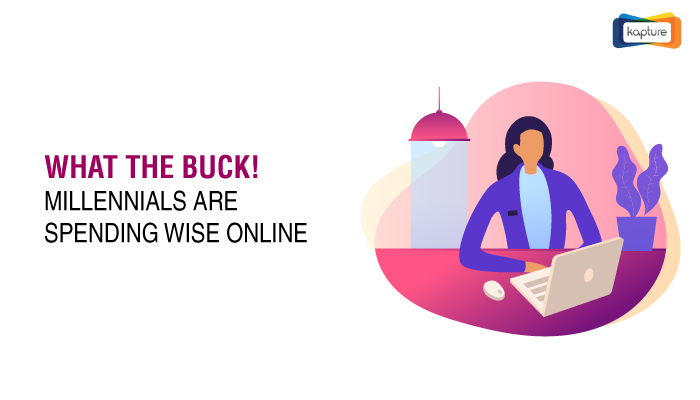 The millennials are skilled buyers who are well-educated about their purchase options and evaluate the service quality. Based on this online shopping survey results, the e-commerce businesses should be able to find the right resonance with the millennial segment of the audience to capture the market. At Kapture CRM, we offer e-commerce CRM platform that backs your entire e-commerce operations. We help you efficiently manage customer service delivery, call center and the field force in a streamlined manner. All in all, we focus on improving your overall customer experience and add value to the buying experience of your e-commerce store.